It was a week ago that Team Firestorm celebrated it's eighth anniversary party. Among those there was Tonya Souther, whom heads the part of the team that works on the Firestorm Apple computer viewer, and is a founding member of the team. I recently met up with her to talk about her and her time with the team. 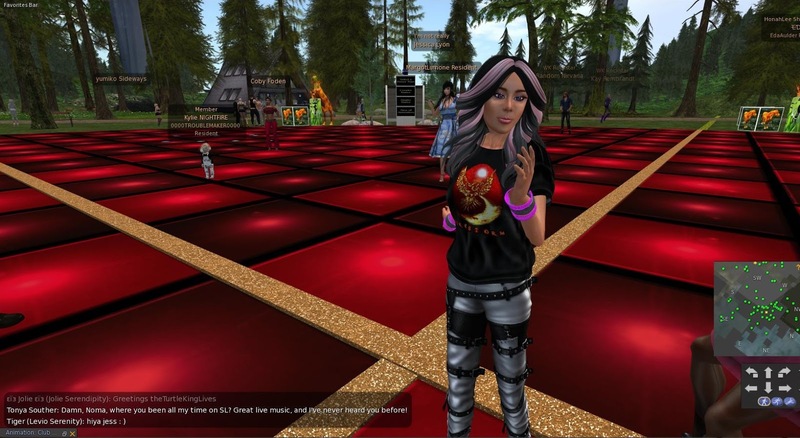 Noting that she had been around since 2009, I asked Tonya how she found out about Second Life. She answered, "I have an real-life friend who ran a club here for quite a long time. She's known as Axi Kurmin inworld, and as DJBronxelf in real-life. And yes, she will happily combine the two. I've known her for much longer than I've been on Second Life. She got me interested, and going to a furry convention (RCFM) that had some Second Life content. I created this character before I got on SL, and was thrilled I could be the tigress I'd been playing online for years. ... .I was part of a group who'd been together on IRC for years. ... I bought the first avatar within moments, but that's because I'd met the creator at RCFM before signing up." Tonya's first days and weeks went, "like learning any new platform, but Axi did a lot to help me up the learning curve, and so did the folks at the RCFM sim." One thing that got her attention was the futniture designed for Restrained Life furniture in mind, not just the cheeky aspect, but that people had the ability to design these kinds of things here, "that was what sold me on this platform being something that could be much broader than I'd magined." She would develop and sell her own line of RLV furniture. Although Tonya became a user of the Emerald Viewer, "I liked the feature set ... I didn't meet Jessica until July of 2010. They had come up with a new release, but there was no Mac version available. They'd had problems getting it running, and their previous Mac developer had left in a huff. I got it working, and got invited to join the project, right before the whole Emeraldgate kerfuffle happened. I was an Emerald developer for a grand total of three weeks before it imploded. As Tonya had just joined the team, her perspective from inside during Emeraldgate was somewhat limited, "What I saw was the fallout from the metadata data collection and the DDoS. I didn't know any of the players well, but I knew who were the big contributors. When LL issued their ultimatum, I wasn't all that surprised. The big problem for us was going to be to keep the project going. I wanted to have Emerald continue as before, minus the three people that Linden Lab had demanded depart. Two of them did, but one did not...and his refusal essentially shot Emerald in the head." She described what happened next, "When it became obvious that we were going down in flames, I got with Jessica. She'd made comments about forking the project, and I convinced her that we were going to have to do just that if we couldn't eject that one developer. We did try. Jessica had admin privileges on the Emerald servers and she tried to lock that developer out of it, but got caught and shut off. So I talked her into starting a new project, which came quickly to be known as Phoenix (from the ashes of Emerald). She was reluctant at first. But she realized after I twisted her arm that it needed doing, and she was about the only one who could. And so we did." Tonya called the next few weeks, "Hectic as hell! We were busting our collective butts to get something, anything, ready to release ASAP, so the users would have something to work with. Linden Lab had been very, very clear in their insistence that if their ultimatum wasn't met, Emerald would be blocked. But we got something built and running and rebranded,-that was most of the hard work, really - and released. 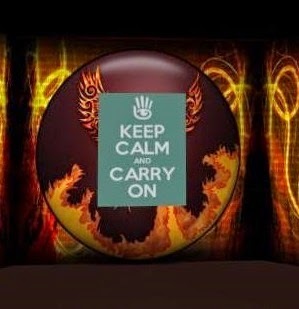 And as soon as we did, Linden Lab dropped the banhammer (on Emerald)." When I asked if the reaction of Team Phoenix to the Lab putting their viewer on the approved list was a sigh of relief, Tonya responded, "Yes, and not from just us, either. I can't prove it, but I'm pretty sure Linden Lab was waiting for us to release before banning Emerald. They were quite happy that they had an alternative available for folks who didn't want to use 1.23." And the reaction fron the new team to what was left of Emerald signing up with Utherverse the owners of the small "Red Light District" adult-oriented virtual world? Tonya called it, "A collective eyeroll, and that was about it. We were up to our a**es in our own alligators enough, and we didn't have time to worry about what folks Linden Lab had run off were up to, as long as they didn't bother us. They tried. They released a version of Emerald, the 2600 release, that was designed to evade the ban, and got themselves thrown out of SL for their troubles. ... I don't know how many were banned just for using it; I only know that two were banned for releasing it - one of them one of the ones Linden Lab had demanded we eject from Emerald." This was Lonley Bluebird/Phox, "the other was Arabella Steadham, who was Emerald's PR person. Me, I never understood why an open source project needed a PR person in the first place, and when she started trying ot run the Emerald project at the end, that struck me as a serious case of (the) tail wagging (the) dog." But after their hectic start, things began to calm a little. But they weren't truly out of the woods for a little while, "Once we got the first relase out, things quieted down a bit. We had some teething pains, with one developer trying to take over the world and getting run off, and juggling infrastructure. But it settled down after a few months. That's when we could start back to working on actually improving the code and fixing stuff that had been broken. I'd say we were in a state of flux for about the first six months, and then we could really get on with the business of making a viewer people would actually want to use. We were conscious that we were rising form Emerald's ashes. The topic on the Skype channel we were using to communicate at the time got set to 'Wie Phonix aus der Asche werd ich auferstehen' ...a line from Megaherz's song Kopfschuss. 'They tried shooting us in the head and we rose again.' And we knew that all eyes were on us, just waiting to pounce if we screwed up even a little bit. So we went out of our way to be squeaky clean." So what was the feeling of the team at their first anniversary? Tonya described it as, "Surprised we'd made it that far, and relief that we'd put the worst behind us. We figured that if we'd lasted that long, then we were going to keep going indefinitely. Most of that was due to Jess. It's actually very rare for an open source software project to be led by a non-programmer, but she's done a masterful job of it." When asked what the biggest challenges the team faced since their first few months were, she remarked, "The biggest challenges have been personalities, mainly, Jess will joke, as she did at the party Sunday, about having two developers near each other who aren't trying to kill each other, but our disagreements have been ... passionate, at times. But we get through them." I asked about the times Linden Lab stepped in and asked them to remove something, such as the feature early on that told users what viewer others were using. Tonya answered, "A few times, yes. We go back and forth with Linden Lab quite often about what goes into the viewer and what stays out. Most of the time, we agree pretty quickly. But there have been some serious arguments. That was one. The reason Linden Lab gave - that it was leading to bullying of users not using Phoenix - I think was BS, but LL does have the power to demand that we do things a certain way. And in the end, we do them if we can't change Oz's mind. Fortunately, he does listen to us and champion us internally. I asked if that was the biggest difference of opinion between the Lab and the team. She answered, "Mrrrr...that's a good question. I think it was, but there have been others almost as big. Take our 3-reelase policy, for example. We now will disable versions of Firestorm older than the current release minus two. We didn't want to do it, but the Lab insisted and said that we could either do that or else use their automatic updater. We're all about giving the user choices, so we do it our own way." And while the team had their share of challenges, what were the parts that were the most fun? She answered, "The fun parts for us are when people discover something in Firestorm they didn't know was there that makes their lives easier. That gives us a real boost. Events? We don't really have things that turn us on as a team. We're proud and happy when Jessica gets recognized for the work we've done." Being part of Team Firestorm is only part of what Tonya does. 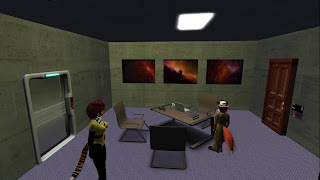 She also runs a sci-fi roleplay inworld, about a group of Earthfolk whom are in a symbiotic relationship with extraterrestrials known as the Lategum, "Roleplay is alive and well in Second Life! I've got a sim I manage, and a group, that has an ongoing roleplay with some serious worldbuilding behind it. That's been rewarding, not just for its own sake, but as a place to belong among like-minded people. I'm wearing the uniform of the RP group, where I am known as Sister Alpha 8369. We spend quite a lot of time with each other, and it points out the real genius of Second Life: we can be who and what we want to be, deep down inside, and enjoy the company of others with similar interests." 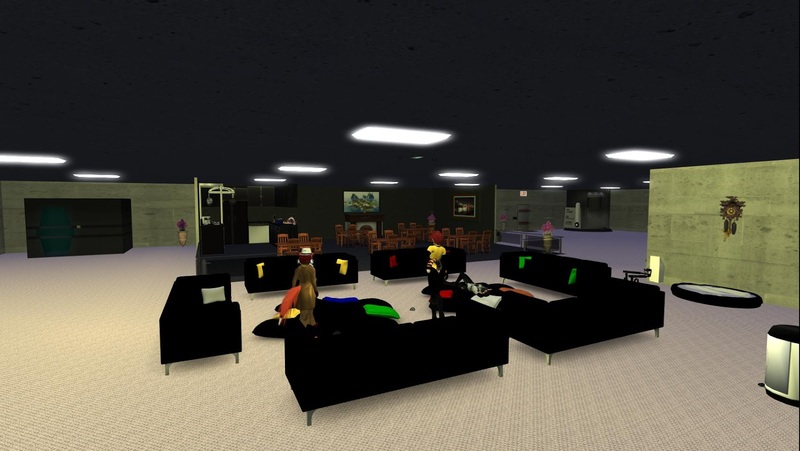 Tonya showed me one of the meeting areas of the roleplay, "This is our common gathering area. ... We're actually 3 0 meters below the surface of the island nation of Jimat Pulau, in the South Pacific not far from Tahiti." There were some pictures nearby in a hallway, "We have a couple of furry artists among our members. But we are not furry-exclusive. We'll happily accept any species we can make a uniform for. In practice, that means they need to use a body that's SLUV compatible. Making uniforms for all fo the different mesh bodies is a rabbit hole that goes very, very deep. I made the uniforms, originally, and have adapted them for Maitreya and Omega." 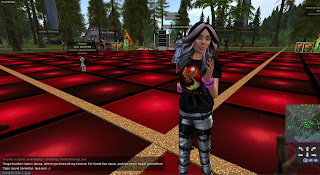 "Second Life is a big part of my life, in general," Tonya told me, "Without Firestorm, I'd have left long ago. Yes, I'm a developer, but I couldn't do it by myself, not even close. We have a pretty large team, and every last one of them does something we need. They all deserve thanks." Tonya is a rare combination of creative talent, technical skill, and above all persistence. We need more people like that in all fields.